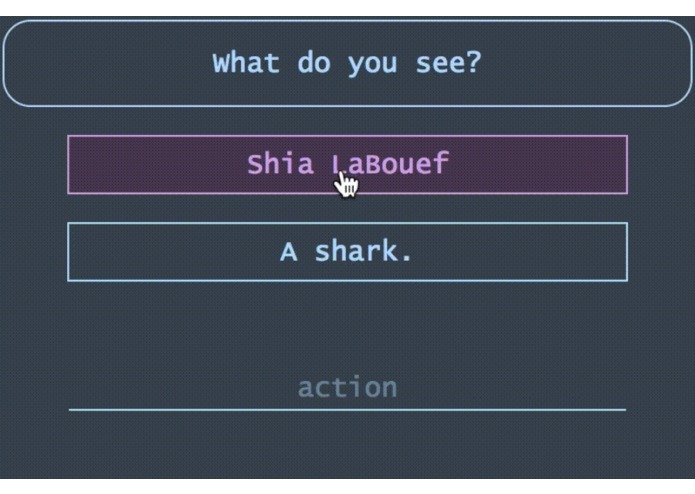 A publicly editable text based adventure game in which literally anything is possible. One of the many choices a user could face. The game consists of a tree of descriptions. At each node, the player can choose to follow a specific action of create a new one to begin another branch. Worked on some front-end design, but spent a lot of time learning and implementing PHP.